NVIDIA is going to unveil Pascal, their most advanced GPU to date at GTC 2016. The unveiling would soon be followed by a full fledged launch of the new GeForce/Tesla/Quadro cards that will be available to consumers who aim higher performance, higher efficiency and increased VRAM in the form of HBM2. NVIDIA will have a complete new lineup for desktop and mobility users by mid of 2016. According to information posted by Sweclockers, it is suggested that NVIDIA’s Pascal GPUs will be arriving in mid-June for mobility platforms. Knowing that AMD will also have Polaris based GPUs ready for Mid-2016, it will be good to see more options to select from on notebook platforms. NVIDIA and AMD will be eyeing the Back to School season for the wide availability of their next generation GPUs in notebooks so retail availability by mid of June is a must. According to the report, NVIDIA has internally disclosed a shipping date of 16th June to their partners for Pascal mobility GPUs. The products would be announced and put on display at Computex 2016 before that which starts in first week of June. In regards to the naming scheme of the new Pascal chips, we have no confirmation on hints. Since the last cards used the GeForce 900 series branding, one would suggest that NVIDIA will use the GeForce 1000 series naming for the new cards but that might not be the case. After the GeForce 9 series cards, NVIDIA jumped to the 200 series nomenclature, since this is the end of the GeForce 900 series, NVIDIA could introduce a new branding for their cards. Looking at the current state of the notebook GPUs, we see that NVIDIA remains dominant in both performance and efficiency. Their Maxwell architecture brought desktop-class graphics performance to notebooks with the GeForce GTX 970M, GeForce GTX 980M and the GeForce GTX 980 mobility chips. Maxwell which was NVIDIA’s bet on gaining higher efficiency on an existing process node (28nm) was a success which led to a huge market share gain during 2015 and notebook GPU shipments for NVIDIA remained highest in Q4 2015. 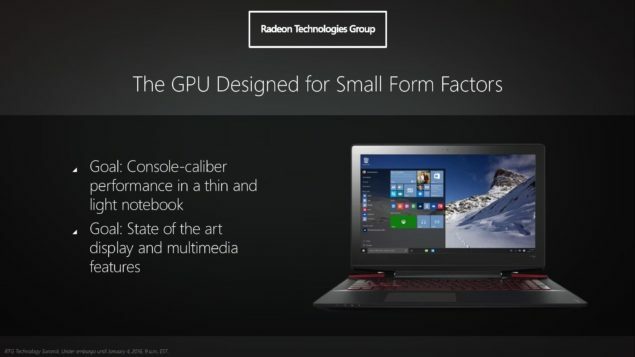 AMD on the other hand brought a faster clocked Tonga XT GPU on the mobility front but it wasn’t available on a wide range of notebooks and couldn’t be compared to GM204 in terms of efficiency and performance due to a wide gap in both regards. AMD is going to try and get the same efficiency gains with their upcoming, FinFET based Polaris cards which NVIDIA did two years ago with Maxwell (GM107). AMD already demonstrated a low power card based on Polaris delivering a higher performance to watt ratio compared to NVIDIA’s 28nm process based GTX 950 graphics card. While not an apples-to-apple comparison since NVIDIA would also have a FinFET based low-power solution in their Pascal lineup, the test showed the advantages of FinFET which consumed much lower power to deliver the same frame rate hence improving the efficiency up to 2.5 times compared to previous generation GCN cards. 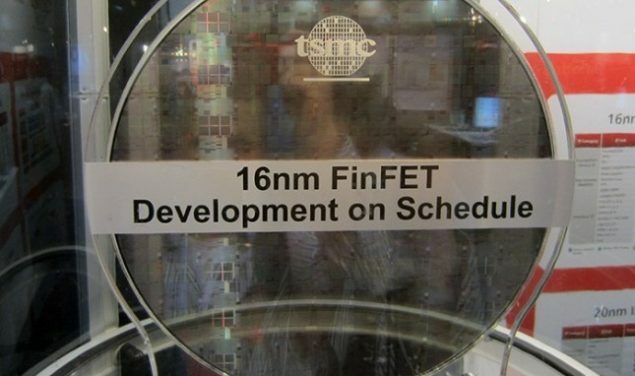 In other news, Digitimes has reported that reports from Taiwan based Economic Daily news reveals that TSMC will double their 16nm chip production in the current month. The report mentions that the output capacity of TSMC’s 16nm plants (Currently at 40,000 chips for February 2016) will reach 80,000 wafers, double the amount currently being produced. It should be noted that customers like NVIDIA and Apple will be building their chips upon the new 16nm FinFET nodes from TSMC. While NVIDIA’s mobility lineup would not be packing any GP100 based SKU, it will certainly get the same approach as Maxwell where a high-end desktop oriented Pascal GPU will be available on the mobility front without having any disabled cores and without compromising on the clock speeds. The FinFET architecture leads to lower power consumption and the increase in transistor density leads to better performance off the GPU. 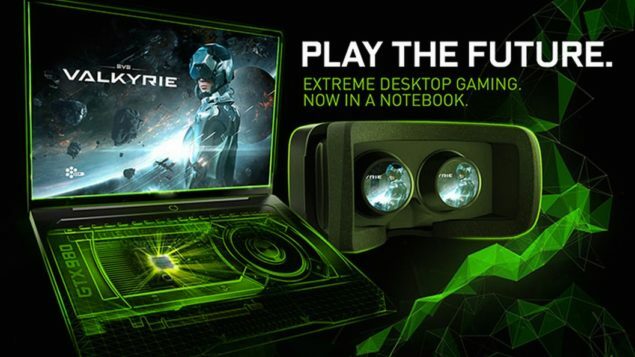 There’s no doubt that NVIDIA and AMD are going to have even powerful solutions designed for the note book platforms, users who are aiming to get a notebook right now can go for GeForce 900M based solutions but users who can wait for a bit would be in a treat for even more performance gains with Pascal and Polaris.